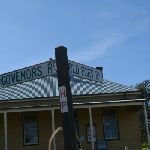 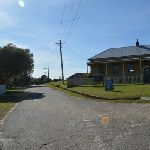 Veer left: From the intersection, this walk follows the ‘Govenors Rd’  and ‘Soldiers Institute’ signs gently uphill along the sealed Governors Rd. 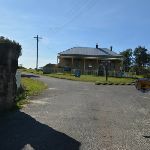 The road leads uphill for 130m past a few historic barrack buildings to where the road bends (sharply right). 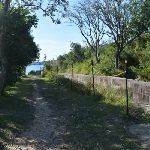 Here the walk continues straight (gently downhill), across the gravel area (marked with an arrow post at the end of the white metal pole fence). 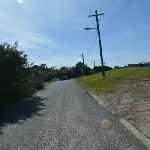 Turn left: From the intersection, this walk follows the ‘Inner Middle Head Forts’ sign along the mostly flat dirt track (away from the road) for about 90m to come to an unsignposted intersection with another track and a sandstone fort (on the right). 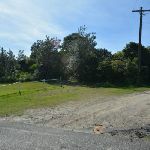 Ground is rough and slopes moderately steeply down to unfenced drop into gun emplcement. 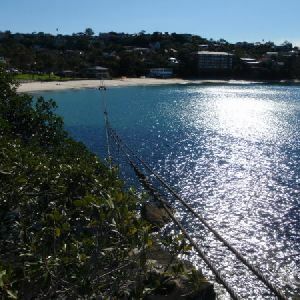 Significant unfenced fall risk. 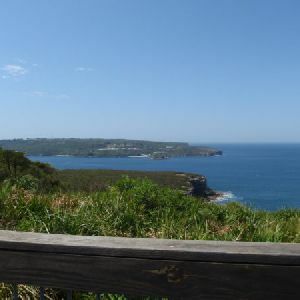 beside the ocean cliffs. 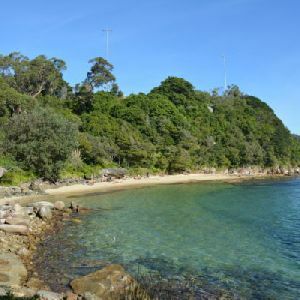 Take extra care as the ground slopes towards the gun pit and cliff edges – stay 2 body lengths back from any significant drop. 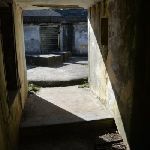 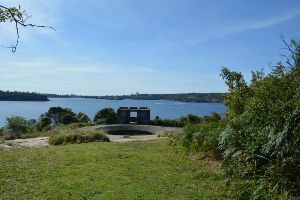 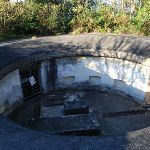 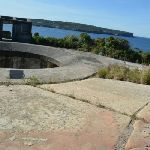 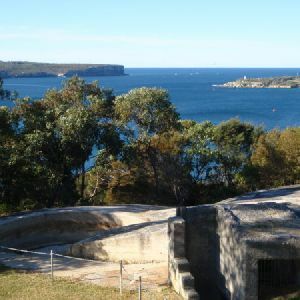 The inner Middle Head battery, is about 300m north of the main fortification area on Middle Head, Sydney Harbour National Park. 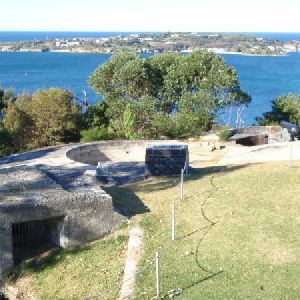 The area has a number of fortifications, tunnels and hiding gun placement. 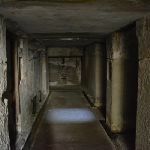 There are trenches leading down to some tunnels. 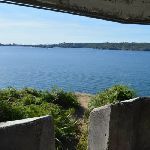 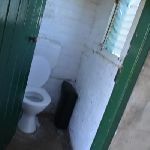 Some of the tunnels are locked  with horizontal bar gates to protect the nesting sites of microbats that have taken up residence in the fortifications. 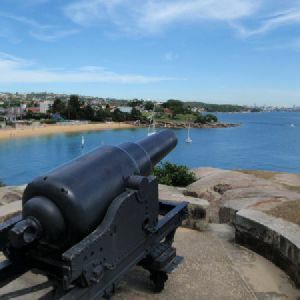 The view of the harbour are stunning and the history interesting and worth exploring. 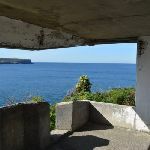 Take great care around the cliffs and gun emplacements staying two full body lengths back from significant drops to avoid injury. 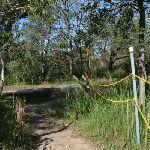 Trip Hazard Ground is rough and slopes moderately steeply down to unfenced drop into gun emplcement. 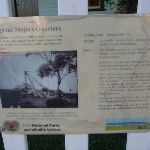 Significant unfenced fall risk. 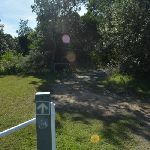 Found about 370m into the walk. 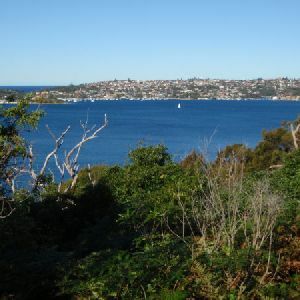 200m of this walk is flat with no steps and another 110m has gentle hills with occasional steps. 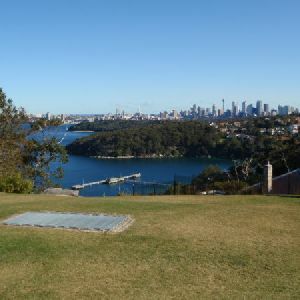 The remaining (70m) has short steep hills. 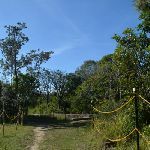 210m of this walk follows a clear and well formed track or trail and another 110m follows a formed track, with some branches and other obstacles. 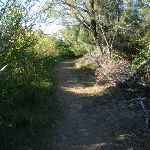 The remaining (65m) follows a smooth and hardened path. 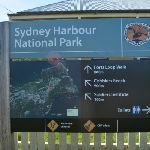 Around 270m of this walk is clearly signposted, whilst the remaining 110m has directional signs at most intersection. 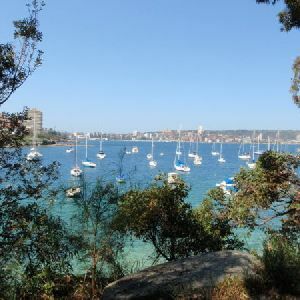 This whole walk, 380m requires no previous bushwalking experience. 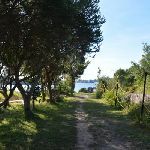 This whole walk, 380m is not usually affected by severe weather events (that would unexpectedly impact safety and navigation). 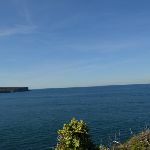 Around 200m of this walk is close to useful facilities (such as fenced cliffs and seats), whilst the remaining 180m has limited facilities (such as not all cliffs fenced). 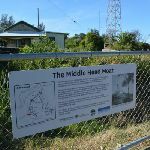 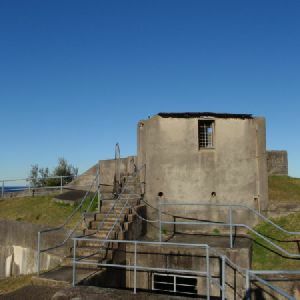 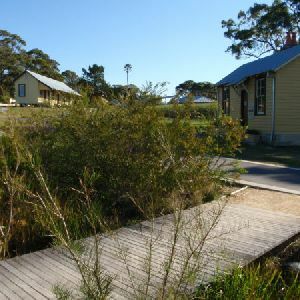 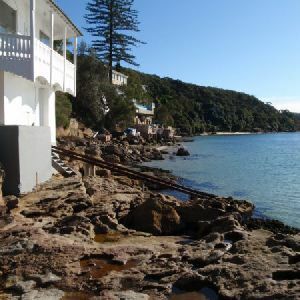 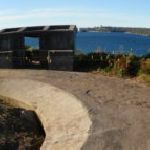 A list of walks that share part of the track with the Inner Middle Head Battery walk walk. 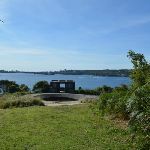 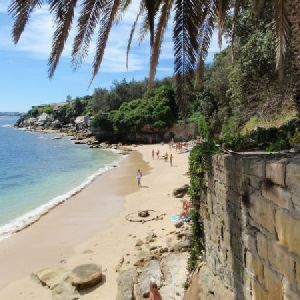 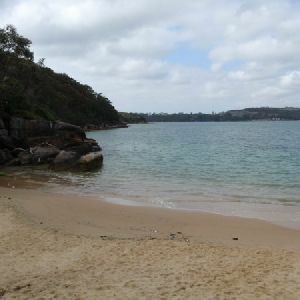 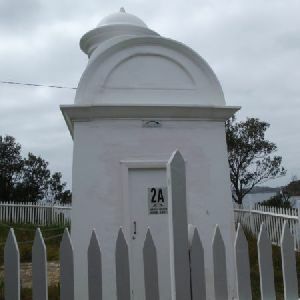 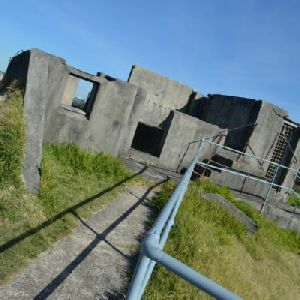 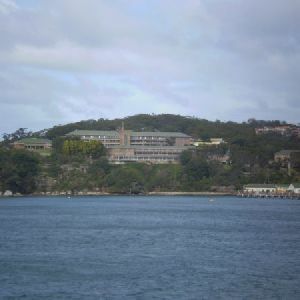 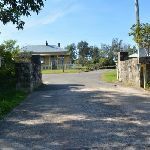 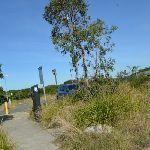 A list of walks that start near the Inner Middle Head Battery walk walk. 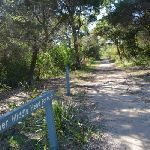 http://new.wildwalks.com/wildwalks_custom/includes/walk_fire_danger.php?walkid=nsw-shnp-imhbw Each park may have its own fire ban, this rating is only valid for today and is based on information from the RFS Please check the RFS Website for more information.